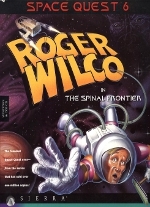 Space Quest 6: Roger Wilco in The Spinal Frontier ran on the last version of the SCI engine, SCI3. This allowed it to use Super VGA graphics with 256 colors at 640—480 resolution. 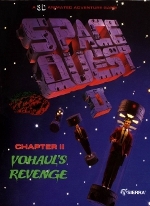 Unlike other SCI games, it didn’t have the interface in a pull down bar at the top of the screen, but instead used a “verb bar” window along the bottom of the screen, similar to LucasArts’ SCUMM engine. The graphics style was also more cartoonish than in previous games, as well as incorporating an ample amount of 3-D rendered images. Gary Owens served as narrator once again. 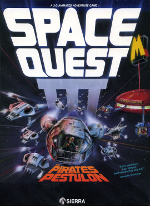 This game was the last to be released in the Space Quest series. Having defeated the diabolical pukoid mutants inSpace Quest V, Captain Roger Wilco triumphantly returns to StarCon headquarters – only to be court-martialed due to breaking StarCon regulations while saving the galaxy. He’s demoted to Janitor Second Class, and assigned to the SCS DeepShip 86 (a parody of Star Trek: Deep Space Nine), commanded by Commander Kielbasa. The game’s subtitle comes from the final portion, in which Roger has to undergo miniaturization and enter the body of a shipmate and romantic interest, a spoof of the 1987 movie Innerspace. 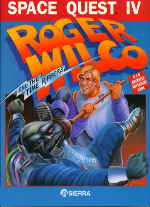 (This segment also provided the game’s original subtitle, Where in Corpsman Santiago is Roger Wilco?, which was not used due to legal threats from the makers of the Carmen Sandiego products.) The romantic interest provides a dilemma for Roger (unprecedented in the series) since she is a friend and someone other than the woman who bore Roger a son, according to the narrative in Space Quest IV. Sierra On-Line created a special CD-ROM version of Space Quest 6‘s demonstration game, which was distributed with Sierra’s Interaction Magazine, PC Gamer Disc 9 included with Volume 2, Issue 8 from August 1995, early pressings ofPhantasmagoria, and possibly other media. 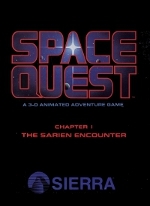 This self-contained demonstration featured an alternate story not related to the main game and is fully voiced by the Space Quest 6 voice actors. The demo begins with Roger Wilco floating in space outside the bridge, washing the viewscreen while everyone else on the bridge is relaxing. Suddenly, out of nowhere, an Escher cube-shaped ship approaches theÂ Deepship 86 and beams aboard two toaster-headed mechanoids – the Bjorn. They turn all of the crew into scoops of lemon sorbet (except Roger, who quickly ducked behind the viewscreen). Now it’s up to Roger to find a way to restore his crewmates and drive off the Bjorn invaders. A shuttle bay full of shuttlecraft from Star Trek: The Next Generation (“Some guy wearing a Delco Air Filter on his face parked this here.”), Star Wars (“You hear a disembodied voice saying ‘Remember your parking space, Luke. '”), Aliens, and others. Items and references from all of the previous Space Quest games all over Roger’s Quarters (such as the Hint Book from SQIV, the Translation Device from SQI, and Roger’s official Employment Rejection Papers from Sierra On-Line he received in SQIII). A demo-related easter egg can be found in the regular Space Quest 6 by entering the code for “Bjorn Chow” (the Bjorn being a parody of Star Trek‘s Borg) into the “Mr. Soylent Clear” food replicator that is only obtainable in the Space Quest 6 demo. We wanna Roger Wilco back!!! He was a super hero. Yes, we want Roger back. Space quest series still one of the best quest games ever. He will be popular once more if you will ressurect him. 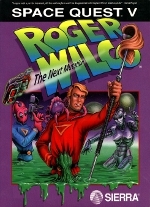 Please bring us Roger Wilco to Xbox X in 4k!!! I would do anything for another Space Quest game for consoles as well as PC, but definitely woild enjoy it on Xbox X. Thanks.. 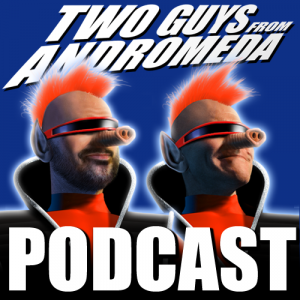 I will play your new Andromeda game when its released!